Tranfers prices are based on a single way for 1-4 pax. For exact prices fill in the quick quoter on our homepage! 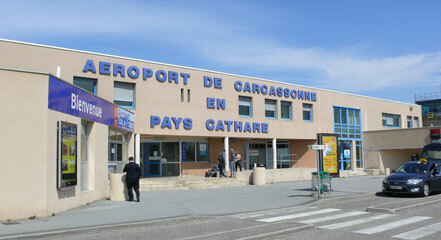 Airport Carcassonne Taxis & Minivan 8 pax. Highly recommended booking from May to October. Transfers from Carcassonne Airport to all destinations in Languedoc Rousillon France. We transfer you and your family savely to your holliday destination. Price indication is based on a one-way transfer without return.